Category Archives: Pinned it AND made it! Caveat- I didn’t take before photos of either the old sewing room or the old playroom. Both were not something I was proud of. You only get the happy after photos. First, we cleared out the old playroom, and I thoroughly shampooed the carpets. Have I ever mentioned that Myrtle, our nearly 14 year old kitty, has decided that litterboxes are for suckers? Yeah, that’s awesome. Great for our carpets. I love the fabric soooooo much! The colors are perfect for the paint and carpet already in the room, and perfect for my taste. A door!! The playroom was open to the hall, no door or even doorframe. Which meant I couldn’t keep out the naughty cat, and couldn’t leave any fabric (or anything) on the floor. At least, not until my amazing husband installed one for me! So now, the room is safe from Myrtle! Next step was building a ton of Ikea furniture. Again, hooray for the husband! My original plan was to buy white Expedits, but Ikea has discontinued the line and all that was left when we went was black. In the end, I actually like the black more than I expected. Then I had to bring down alllllllllll the fabric. And yarn. And books. And magazines. And random other craft supplies. I enlisted the children to help move things. Of course, then I had to refold nearly all the fabric. That was intense. I watched the entire Season 3 of Game of Thrones while I was working… In all, I ended up with one 4×4 cube expedit, one 2×4 cube expedit, and one 2×2 cube expedit. I bought drawer inserts for 2 cubes, and door inserts for 2 others, so in all, that left 24 cubes for fabric. And I filled EVERY SINGLE ONE OF THEM. I ran out of room, and all my Kaffe fabric is on a leftover old white 2 shelf bookcase. And my dream of putting scraps into the kids’ old fake Target expedits? Yeah, no, ran out of room there, too. The giant black bookcase I used to hold about 2/3 of my fabric in the old room fit into the new room with about 1.5 inches of clearance!! That shelf now holds all my crafty books, magazines, patterns, and some miscellaneous supplies. (Please pardon the stuff piled in front of it! I told you it’s not perfect yet.) That stuff piled there? The contents of the drawers of this old dresser we scored for free from a neighbor some years back. 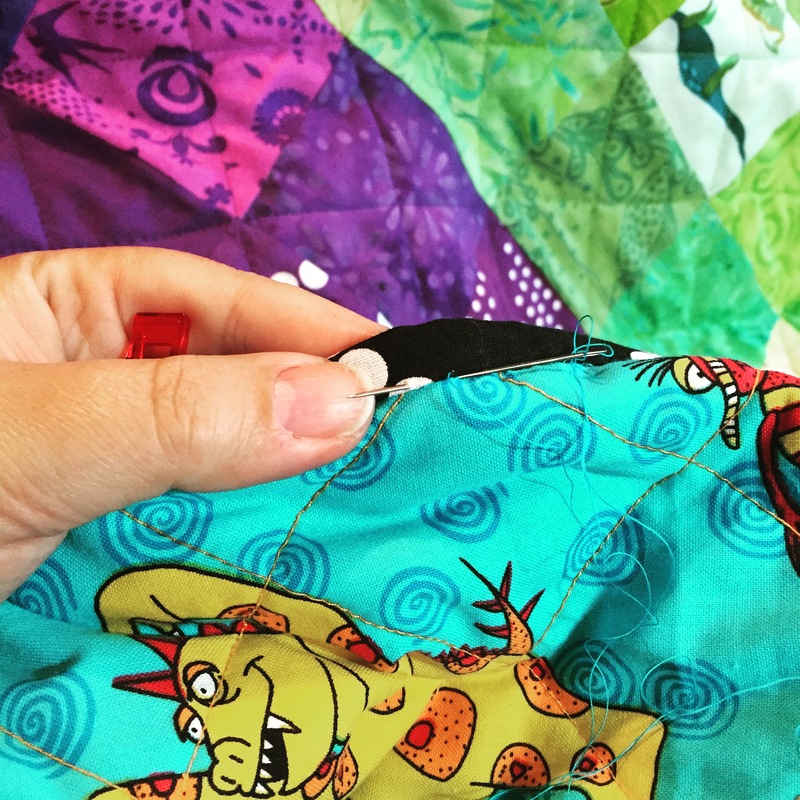 I’ve had that keep calm and sew on fabric for years, waiting for the right moment. And I just picked up those spools a few weeks back, on clearance! 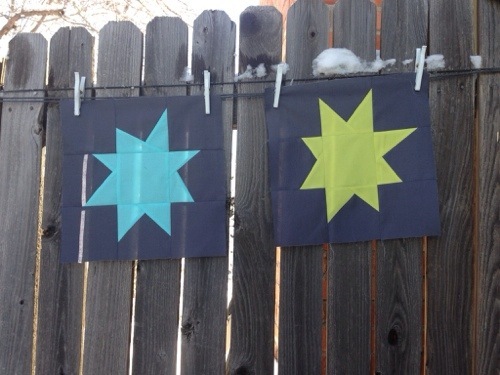 I did a lot of searching online, and found tutorials for how to Mod Podge fabric onto wooden furniture. And while it’s definitely not perfect, it is fun. What do you think? I mentioned the kids’ old fake Target expedit shelving? There was one 3×3 unit, and two 2×4 units. We moved the 3×3 to the new playroom, and I kept the others. I planned to put my scraps in them, but instead, they became yarn shelves. I LOVE being able to look at my favorite skeins. And, um, that’s not even all the yarn. I don’t want to talk about it. I might have a problem. See my new old Pfaff up there? Also, you can see my high tech design wall. It is two super cheap vinyl tablecloths, backed with the fuzzy stuff. They’re simply tacked to the wall. Low tech and cheap, and it works just fine. My design wall is actually smaller in the new room, which is a bummer, but, overall, I’m so far ahead! Can you see that rainbow pillow? It’s on my couch. Because the room is so big, I have a couch and ottoman just for me. This couch is the first “real” piece of furniture I ever bought- not a futon, not from a thrift store, not a hand-me-down, etc. The cushions covers have seen better days, and one foot is broken off and has to be carefully shoved back into place if you move the thing even one inch, but it is so very very comfy and cuddly even nearly 20 years later. Here’s the cutting area- you can even see where I’ve got my laptop and speakers set up. It’s not a prime viewing spot, but it turns out the wifi isn’t awesome in the basement, and I don’t have a lot of choice on set up spots. The plastic tubs are some of my scraps- the tubs used to hold the yarn. Fabric in this area is: yellows, oranges, browns, pinks, reds, white/black etc, solids, novelties, xmas and halloween. Xmas and halloween are under the cutting table as I only need to get at them occasionally. The bin under the table holds my City Sampler fabrics, and the ugly mess is flannel I haven’t decided what to do with yet. And don’t you love the Ikea rug? It’s the one big splurge of the whole redo. Totally didn’t need it, totally love it. And it was only $40, so, not too bad. AND with my brand new door, the damn cat can’t mess it up. Oh, and that Raggedy Ann and Andy embroidery piece? My OTHER Grandma made it for me before I was born 🙂 The empty white wall behind the expedit is going to be covered with a Kilim rug from when I was a kid living in Istanbul. I LOVE that rug. But we have to get it prepped to hang properly. You can see I have a mini ironing station right next to the machine. I’m already really loving it! (In my old room, I could’t set up the iron close to the sewing machine, and I wasted a ton of time going back and forth….) This new station is so handy. The big board is over by the giant bookshelf, and is easy to get out for bigger jobs. 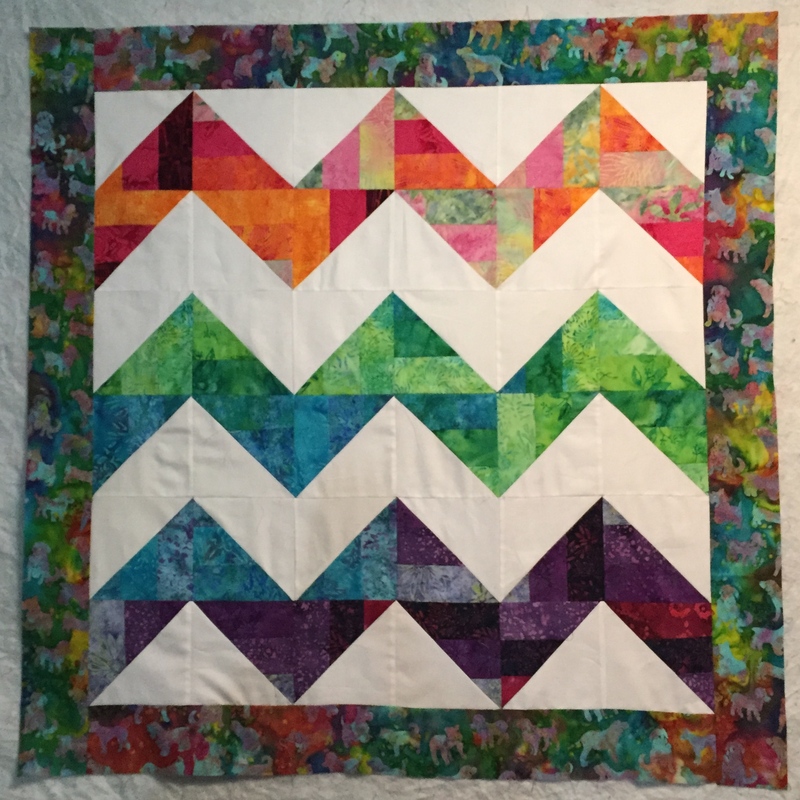 The fabrics on this side are: purples, blues, greens. Because I have the most of those. And this wall also has that white Kaffe-filled shelf that you can’t see- it’s right at the end of the 2×4 expedit. There you can see how that half of the room fits together. And also that the art isn’t hung on the walls yet. Soon, I hope. I am so happy with this room. It’s huge- I think about twice the size of my old space. It’s clean and pretty and comfy and full of things that make me smile. 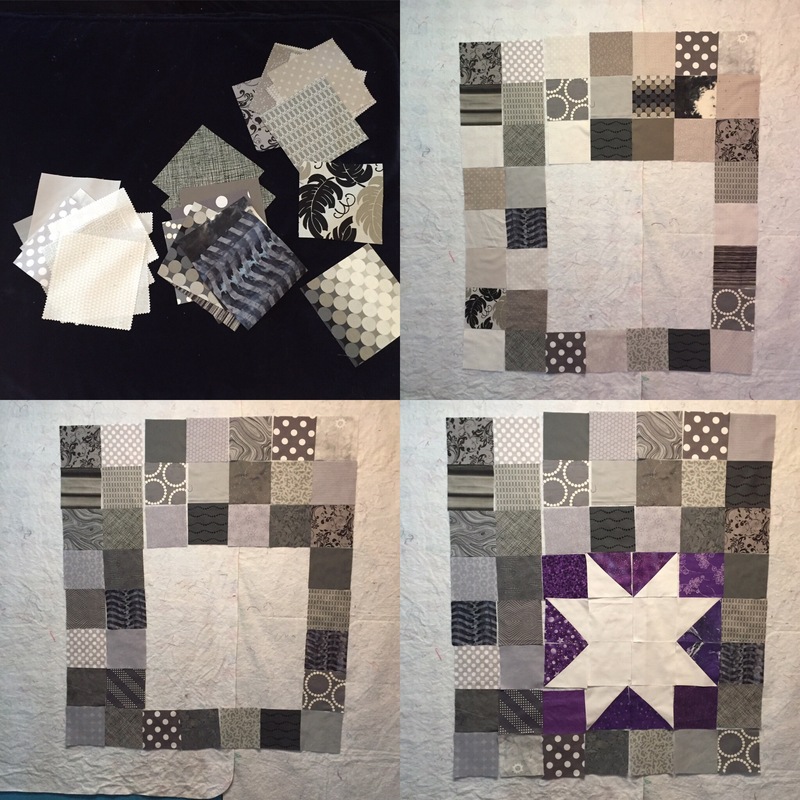 It’s big enough that I can have multiple projects out at once without feeling overwhelmed. And it’s ALL MINE. I am very aware of how lucky I am to have this space. 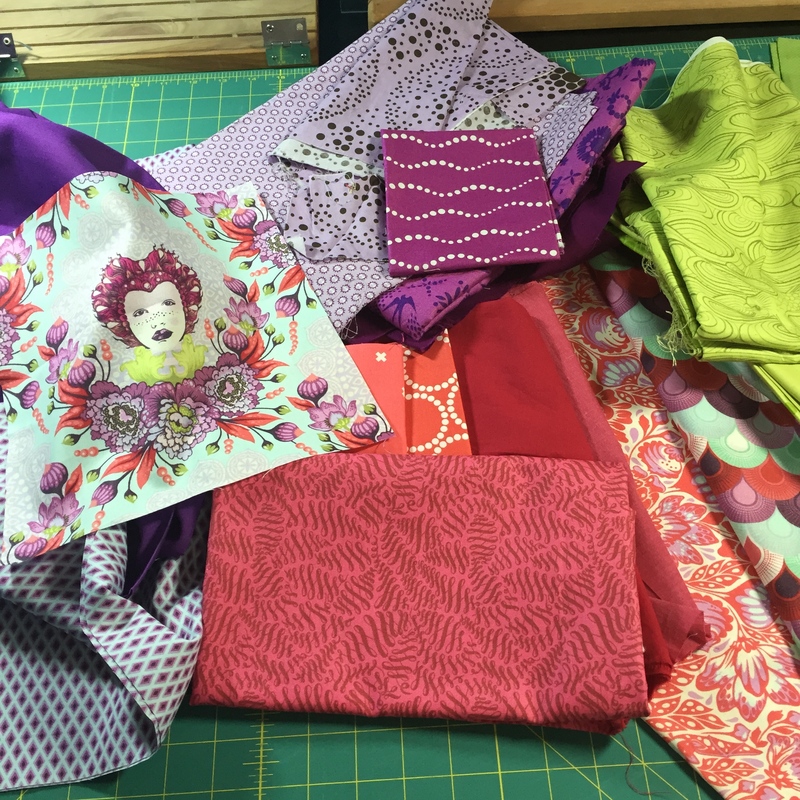 I started sewing more than 15 years ago in the corner of the living room in Rich and my tiny one bedroom apartment in Brookline, MA. Then I used the kitchen table in our first house in Denver, followed by a corner of our bedroom. When we moved to this house, I got a room that I split with a desk and computer. For 10 years, that room served me wonderfully- even that smaller room was a wonderful gift- space of my own to sew! But this new room? A grateful woman with a room of her own. And possibly too much fabric and yarn. Filed under Other Crafty Goodness, Pinned it AND made it! 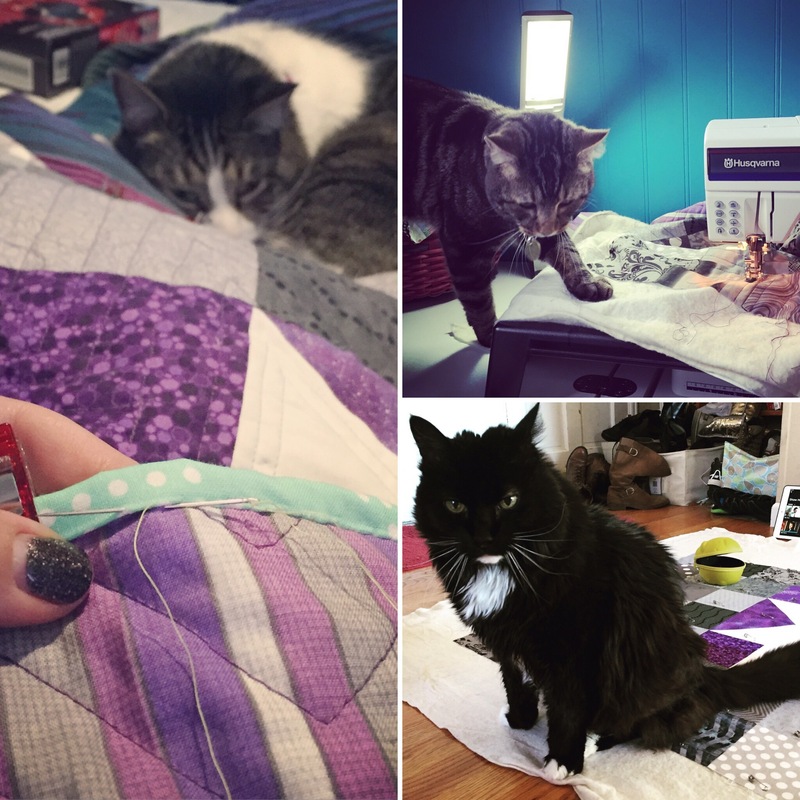 For the month of March, I set myself a goal of finishing all 25 Catvent kitty blocks for the Lovely Year of Finishes. 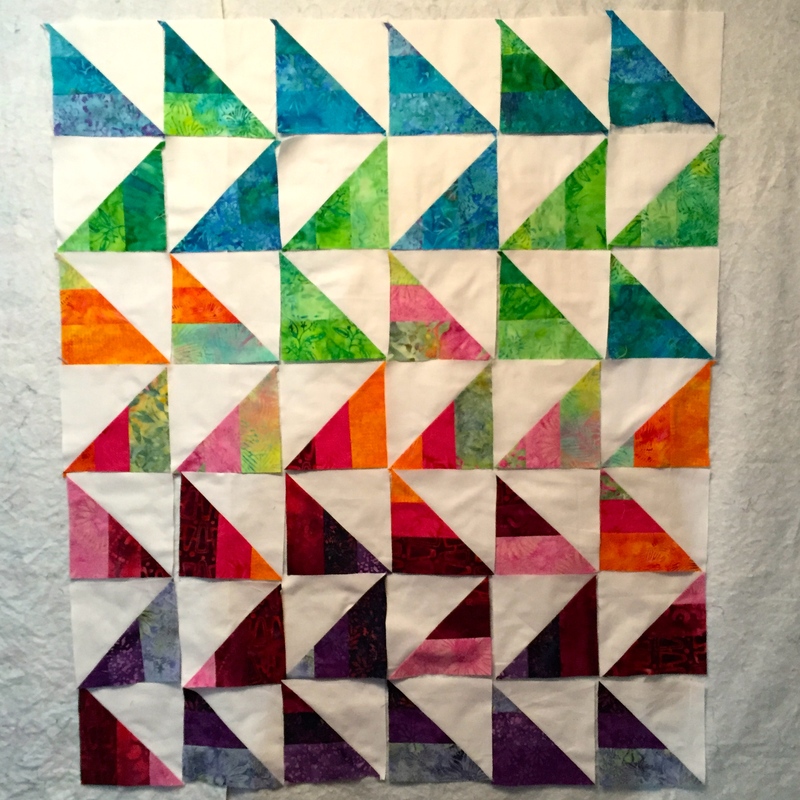 (I’m #134 at the March kickoff linkup…) I admit I got distracted by my Modern Cross, but not so distracted that I missed making my goal. As soon as Cindy’s package arrived, I got to work on my orange kitties. I’m so happy with them! 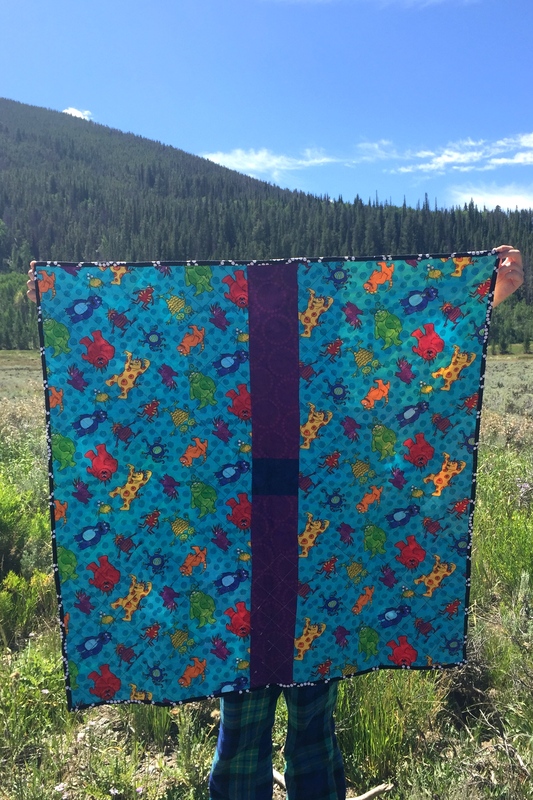 One of the brides-to-be receiving this quilt loves skulls, so sneaking in that fabric in one ear was just perfect! Also, not sure if you can see, but the orange-y yellow kitty right below? It has a teacup puppy, in a teacup, on its face. I found some of that wonderful old Heather Ross fabrics in my scraps. A kitty with a puppy on its face makes me smile! I moved on to red/pink/purple next, and this was the most stressful part. I had a horrible time making the red to pink transition. I really wasn’t happy with that iteration. I liked the kitties individually, but, the two in the top right corner seemed too similar. I was tired, so I went to bed, but when I approached it after work the next day, with fresher eyes, I found a solution. Looking at my wild and crazy cats brings me to a point I’ve been mulling over lately. 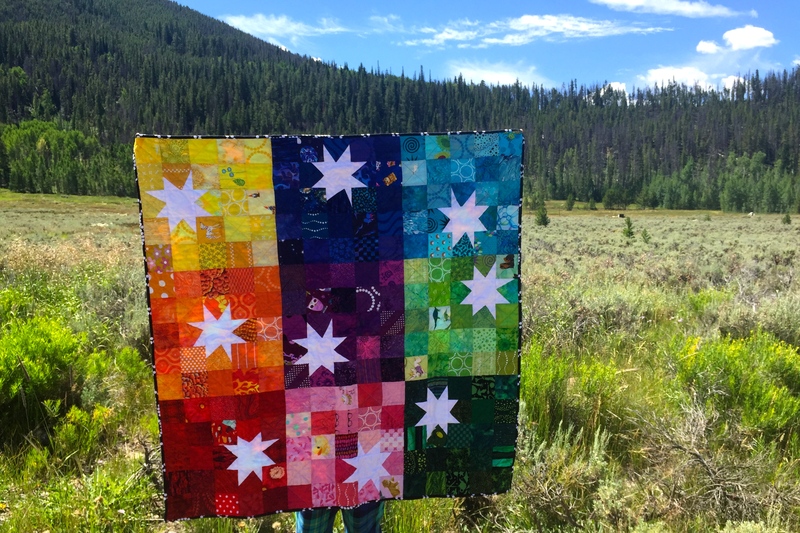 I was chatting via email with Cath at WombatQuilts who, btw makes the most gorgeous blocks and you should go visit her right now if you haven’t already. 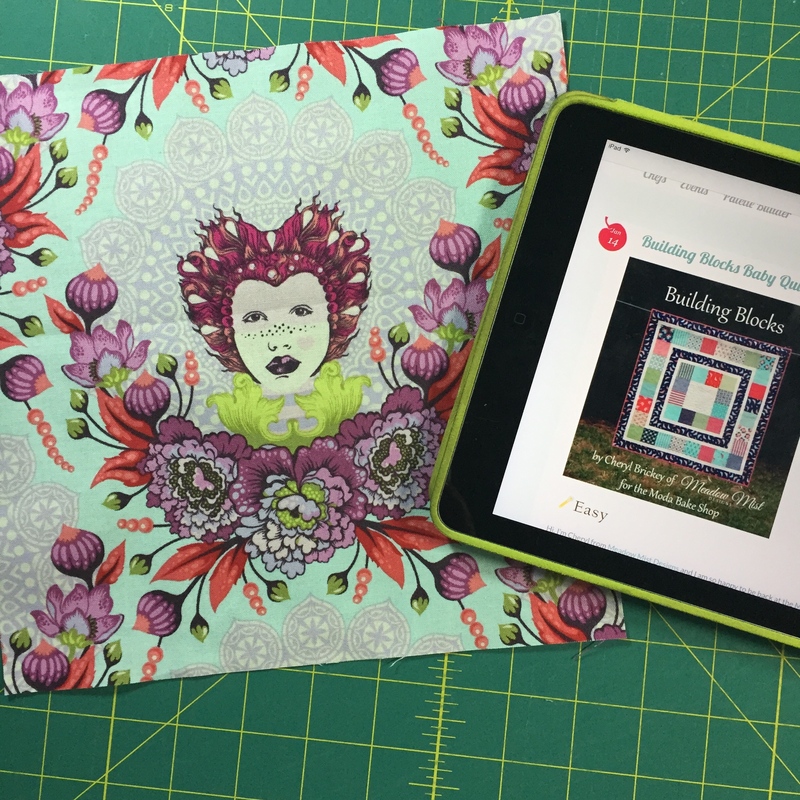 She was complimenting my fabric choices, and I was wondering if my love of prints and busy-ness means I am not a true modern quilter. 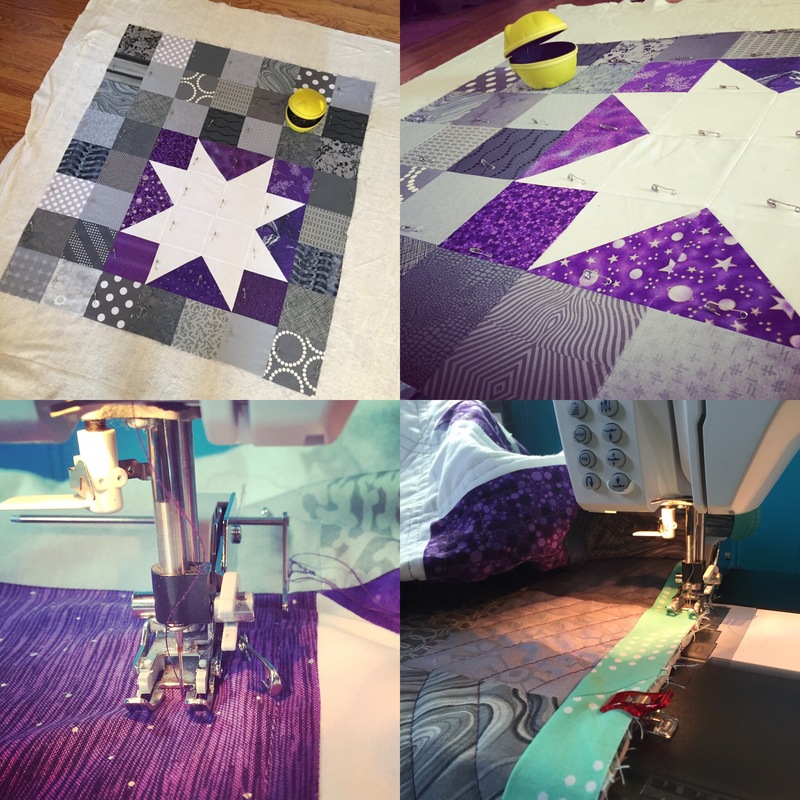 I know that there many different ways to define modern quilting, but when I look around the blogosphere, I get confused. 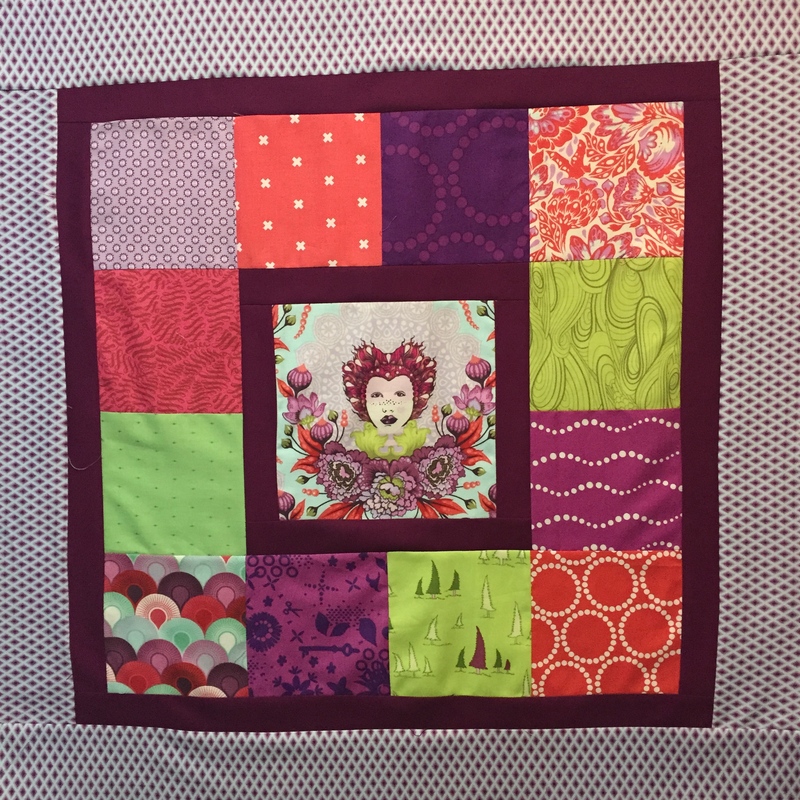 I don’t identify as a traditional quilter- that just feels like a bad fit to me. 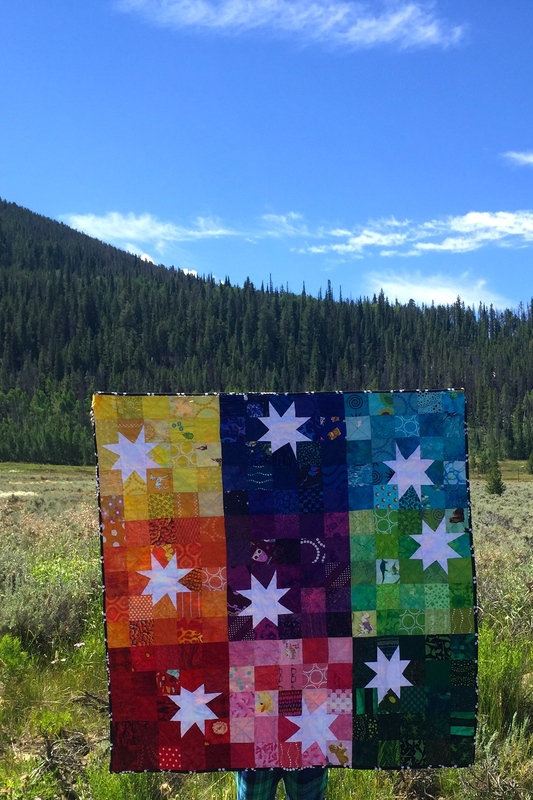 At the same time, I make quilts from patterns, and am very uncomfortable with improv or creating my own designs. That does feel VERY traditional to me. 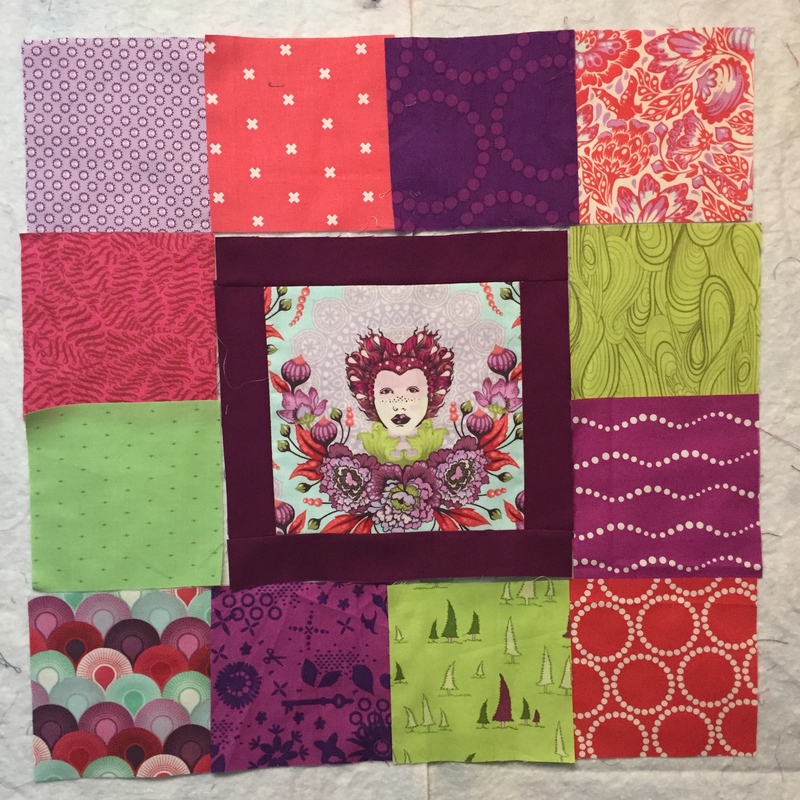 And then back to my fabric choices. I don’t like “traditional” fabrics, and I do love loads of contemporary designers. But I also love using massive amounts of color and pattern- I’m terrible at minimal or low-key. 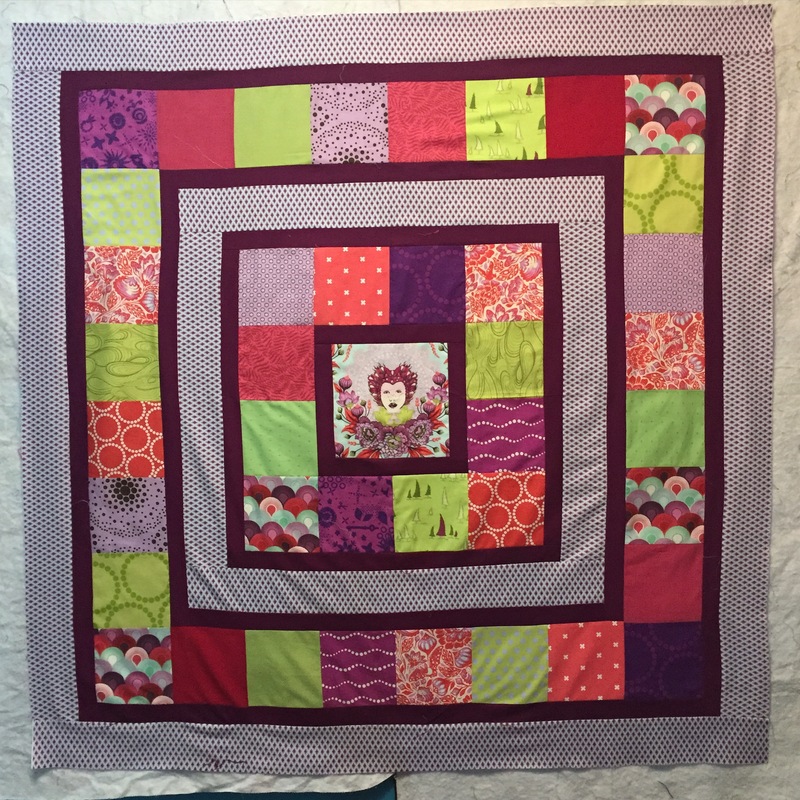 These kitties contain everything from solids to Kaffe shot cottons, from batiks to novelty prints and from contemporary designers to random 10 year old scraps. I think there’s even one piece of 30s repro. So where do I fit? Do you struggle with these definitions at all? Phew. All that deep stuff aside, look what I did! 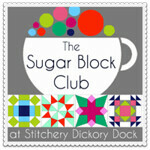 That’s right- I finished not just the blocks but the entire quilt top with 48 hours to spare. (I realize the month isn’t yet over BUT we head out on vacation at noon Saturday…) I even got it done before the sun set, so I could get a few photos before I totally lost the natural light. Of course, I didn’t realize how wrinkled the right side was until AFTER I took the photos. Oops. But the top IS done.